Home Articles Is it Cultural Appropriation for White People to Drink Ayahuasca? White people in the Amazon, drinking a sacred indigenous brew, under a thatched roof, while a ceremonial leader in a feather crown and indigenous garb sings ancient songs in a mishmash of indigenous languages that he doesn’t speak. 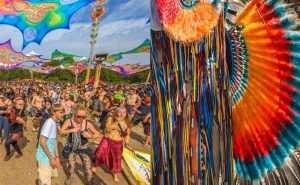 White people opening centers in the jungle, hiring local people to lead ceremonies. White people even wearing the feather crown themselves, shaking the leaf rattle and singing icaros (songs for calling the spirits) back in their own cities. And the ceremonies being pimped for money. Surely there could not be more blatant examples of cultural appropriation of indigenous cultures than the ayahuasca tourism industry and the international ayahuasca shaman industry? Several music festivals in Europe and North America banned the wearing and sale of feathered Native American headdresses out of cultural respect. Well, there are many problematic issues in the ayahuasca industry. Some are related to safety of clients, who are often ill-protected in the unregulated Wild West of the Peruvian Amazon. Some are related to the economic, social, cultural, and ecological impact on indigenous communities, which are very complex issues. But one issue that falls into neither category is whether white people who consume indigenous sacred plants are illegitimately appropriating indigenous cultures. Many people of conscience are aware of the outrage in North American Native communities about the bastardization and commercialization of their sacred traditions by New Agers. The sale of sweat lodges and vision quests for money is virtually blasphemous, as it goes against the deepest values of the gift economy. Surely the ayahuasca tourism industry, which doesn’t pretend to be anything other than a commercialization of indigenous sacred ceremonies, is an egregious example of cultural appropriation of indigenous cultures. But I suggest, it’s not that simple. Back in the year 2000, before there was an ayahuasca tourist industry, I acted as translator for a delegation of North American Indians, including some medicine elders and some European-American indigenous rights activists as they visited indigenous communities in the Amazon. The morning after the shaman had performed an ayahuasca ceremony for them, they all had a discussion together that was attended by five ayahuasqueros from neighboring villages who were interested in meeting with North American Indians. The North Americans asked whether the shaman was ever criticized for opening his ceremonies to white people. They asked questions about the people’s feelings about outsiders participating in their ceremonies. I was unable to translate these questions in a way that made sense to the Amazonians. The assumptions behind the question were completely foreign to them. In fact, there was quite a lot of culture shock. It came out that total strangers could come and participate in their most sacred ceremonies. And it turned out that they actually charged money to participate in these ceremonies. 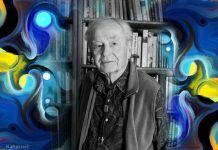 The practice that we know today as “ayahuasca shamanism” has been commercialized for a long time. And it has been open to outsiders for a long time. Long used by native societies of the Amazon Rainforest, the psychedelic beverage ayahuasca is now the site of an international shamanic tourism industry. 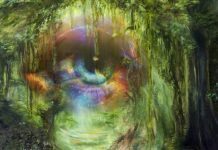 Ayahuasca shamanism is the name for a certain style of practice, and throughout a wide region that stretches from eastern Colombia to southeastern Peru and nearby areas of Brazil, it has remarkable similarity. Once upon a time, not much more than a century past, ayahuasca practices through this region were diverse (and usually practiced with brews made of ayahuasca vine alone). Ayahuasca was used in sacred ceremonies that bound communities together. One type of practice was group dances (with men on one side and women on the other side, which is part of the inspiration for the ceremonies held by the Santo Daime ayahuasca church today). 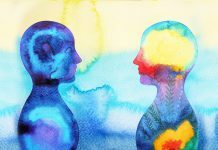 One type of practice was communal meditations in which the people, or in some cases just the men, would join together in a collective dream state. One type of practice was akin to vision quest. And there were others. But at the end of the nineteenth century, the indigenous peoples of the Amazon were hit by catastrophe. 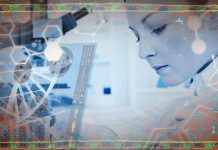 The Amazon had already been severely depopulated by epidemics after the European conquest. The populations in the most accessible areas, such as the Amazon River itself, were completely wiped out, and the populations living nearest the Andes were forced onto church-administered plantations. But the communities living in more remote areas were more or less left alone until the discovery of how to vulcanize rubber, and the resulting Rubber Boom. Rubber trees could not be cultivated on plantations because of a fungal disease that spread among adjacent trees. Were it not for that fungus, the entire Amazon rain forest would probably have been turned into monocropped rubber plantations a century ago. The Rubber Boom resulted in the destruction of countless indigenous communities and the disruption of indigenous life. Indigenous slaves were transported hundreds of miles from their homes. Other than peoples who lived in areas remote from the major rivers, the only tribes that escaped this fate were those who were willing to capture members of other tribes to offer to slave-traders in their place. 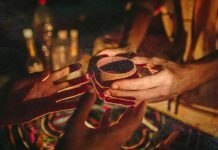 With the disruption and destruction of indigenous societies, coupled with the influx of missionaries who worked to stamp out indigenous ceremonies wherever they could find it, most traditional community ayahuasca practices were lost during the Rubber Boom. 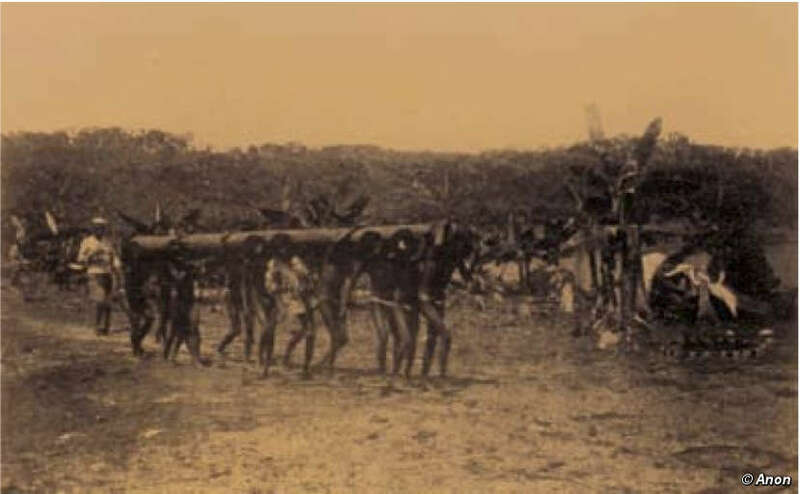 Reports by anthropologists and ethnobotanists well into the second half of the twentieth century testify that, in areas remote from the greatest impact of the Rubber Boom, some of the old ceremonies continued to survive. The curing rituals of ayahuasca shamans were easily concealed from missionaries who were working to stamp out traditional ceremonies. But one style of ayahuasca practice not only survived, but spread. This was what we today call “ayahuasca shamanism.” One reason was that, performed in darkness with small groups, the curing rituals of ayahuasca shamans were easily concealed from missionaries who were working to stamp out traditional ceremonies. 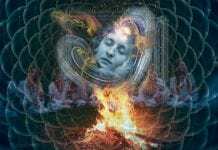 But the main reason ayahuasca shamanism survived was because it is a detribalized practice. It is not linked to any specific culture, so it could survive the destruction of cultures. 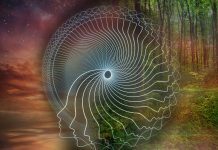 Ayahuasca shamanism is practiced by individuals, and it is transmitted from one individual to another through a process of paid apprenticeship. As indigenous workers became scarce—especially around the urban centers of the rubber trade like Iquitos, Peru and Manaus, Brazil—mestizo workers were enticed to come to the Amazon to take their place. That brought waves of new diseases to the indigenous population. Indigenous laborers in the Putumayo region of Colombia, 1912. Though not enslaved, the mestizo rubber workers faced major challenges. Rubber workers had to go deep into the jungle to tap wild rubber trees and usually worked alone. Sometimes they came into contact with indigenous people who had taken refuge in remoter areas. When the mestizos had health problems, they had no one but indigenous people to turn to. Indigenous people had (and have) knowledge of thousands of medicinal plants, including, of course, ayahuasca. And some mestizos apprenticed to learn ayahuasca shamanism. As a detribalized practice, ayahuasca shamanism is readily transmitted across cultural lines. And even across racial lines, many mestizos apprenticed to learn ayahuasca shamanism so they could bring the practice to their fellow mestizos. It even crossed the line between jungle and city, as the mestizo practitioners set up urban practices to treat the poor mestizo population of the city of Iquitos, for whom this was the only health care available. Ayahuasca shamanism was hooked into global capitalism well before ayahuasca tourism came along. So, was ayahuasca practice first commercialized by the mestizos? Not quite. The practice of ayahuasca shamanism (and, probably, the ayahuasca vine itself) by all evidence and anthropological consensus originated in the Napo River basin. The Napo River is the largest river in Ecuador, flowing through Peru to meet the Amazon River near the city of Iquitos. It originates near a pass in the Andes where, in pre-Conquest times, highland Indians and lowland Indians met to trade, connecting the Andes with the Amazon River. In pre-conquest times, the Napo River was a busy trade route inhabited by dozens of different ethnic groups who communicated using Kichwa as a common language. Ayahuasca shamanism was a private profession practiced by individuals as a personal business well before the European conquest. In the multi-ethnic, cosmopolitan society of the Napo River basin, people routinely interacted with strangers to whom they had no kinship obligations. Up and down the river, healers were called to do ceremonies for strangers who were not their own relatives. So remuneration was called for. In the Napo River basin, ayahuasca shamanism was a private profession practiced by individuals as a personal business well before the European conquest. As a detribalized practice, ayahuasca shamanism not only survived the Rubber Boom; the Rubber Boom helped to spread it southward from the Iquitos area to the peoples of the Ucayali River and other river systems. Ayahuasca shamanism was already linked to the global capitalist economy a century ago, and it easily became wedded to the global tourist industry. Ayahuasca tourism caters to foreigners rather than local people. It first began among mestizo practitioners in and around Iquitos. Foreigners like to think that they are participating in “indigenous ceremonies” when they see a leader with brown skin wearing a feather crown and other indigenous garb, singing icaros in a mix of indigenous languages and Spanish. International ayahuasca tourism has rapidly proliferated in Peru, Colombia and Brazil during the last decade or so. Within a few years, one indigenous ethnic group, the Shipibos, made the collective decision to join the ayahuasca tourism industry. The ad copy on many web pages promoting Shipibo retreats will say that ayahuasca shamanism is ancient to the Shipibos, but the Shipibos themselves don’t claim that. When asked, they say that it came to them within recent historical memory, from the north. But ayahuasca tourism has caused a major change. When ayahuasca shamans serve their local communities, everyone knows who is a legitimate practitioner, who has undergone years of training whose rigor would daunt the graduates of modern medical schools. Foreigners, knowing little about the local community, don’t know who is a traditional healer and who is an “instant shaman” (or pseudo-shaman) who has picked up the leaf rattle and learned the songs in order to cash in on the explosion of foreign cash. 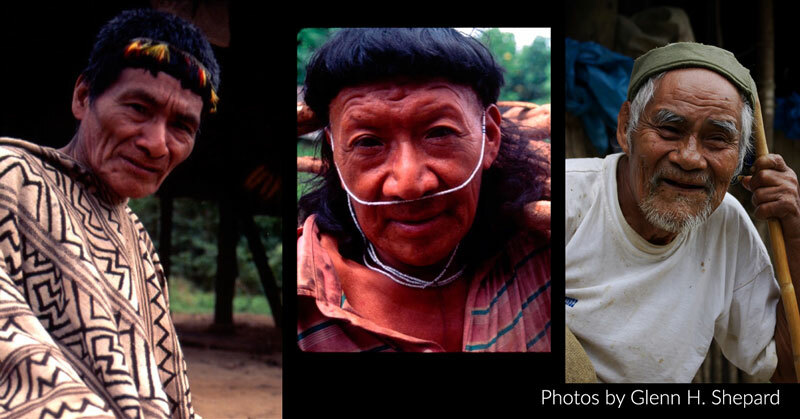 Amazonian indigenous people are not concerned about the ethnicity of practitioners. They are concerned about the degradation and devaluation of their profession and the bastardization of their traditional ceremonies by practitioners they consider imposters, regardless of skin color. I have never heard an Amazonian indigenous person express the opinion that people of a different skin color should not be allowed to take ayahuasca, participate in ceremonies or even to apprentice with a shaman. Ayahuasca ceremonies are not ceremonies of tribal identity, after all. 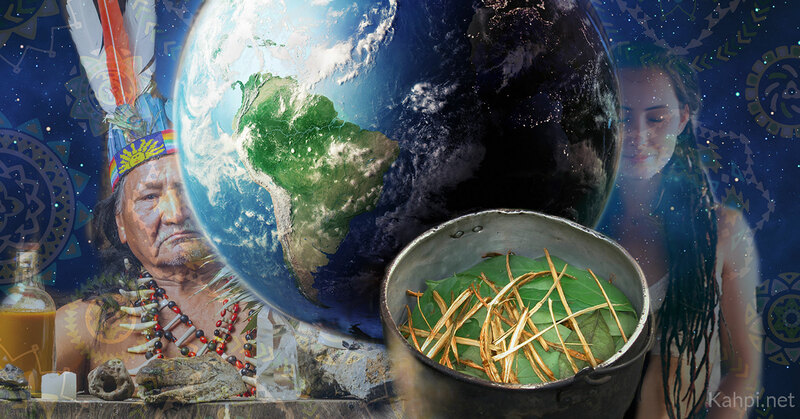 Ayahuasca shamanism is regarded in the Amazon as a profession, not as a religious practice. Ayahuasca shamanism is a health care profession practiced by individual practitioners for any client willing to pay them. As distasteful as it may seem to many, ayahuasca shamanism has been commercialized for a long time. And it has been practiced by non-indigenous people for a long time. 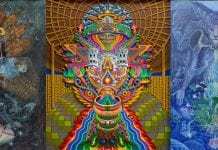 But now, more and more foreigners are deciding, after a few ceremonies, that they can go home and start leading ayahuasca ceremonies in their own countries. Ceremonies led by incompetent and untrained leaders are not just disrespectful to indigenous culture–they can put participants at risk. It is not “cultural appropriation” for non-Indians to participate in healing ceremonies. But those who wish to respect and protect indigenous Amazonian culture can ask that traditional standards of competence for shamans be respected. Gayle Highpine lived for several years in the Amazon and was introduced to ayahuasca by indigenous people with whom she was working to support their fight against oil companies and to help develop bilingual and culturally relevant materials for local schools. She is of Ktunaxa heritage.